Details the author's recovery from chronic pain and inflammation. 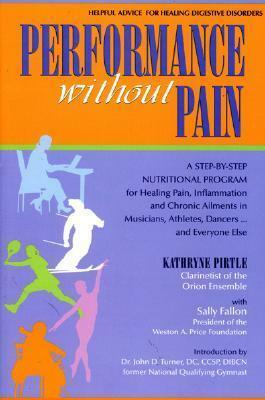 This title provides a practical, step-by-step dietary plan for musicians, athletes, dancers, those engaged in repetitive motion and those suffering from this debilitating modern condition. KATHRYNE PIRTLE is the clarinetist and executive director of the critically acclaimed Orion Ensemble. She is a popular lecturer on diet and health. SALLY FALLON is the author of the best-selling cookbook Nourishing Traditions, as well as of Eat Fat Lose Fat (with Mary Enig, PhD). She serves as the founding president of the Weston A. Price Foundation and is a popular lecturer on diet and health. Author resides in Addison IL.